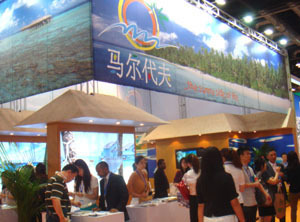 Beijing International Tourism Expo 2012 (BITE) was bigger and grander this year. 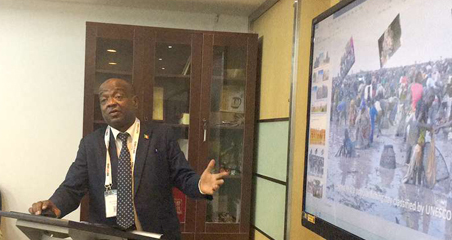 Scheduled to be held at China National Convention Centre (CNCC) on 15th-17th June, the three day mega tourism event will unveil its international showcase of destinations, tourism attractions, travel packages, products and services. 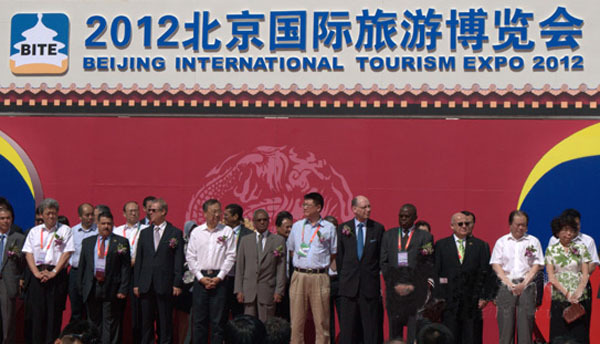 Organized since 2003, Beijing International Tourism Expo is one of the fastest growing in the industry, becoming an important and influential platform for tourism networking. 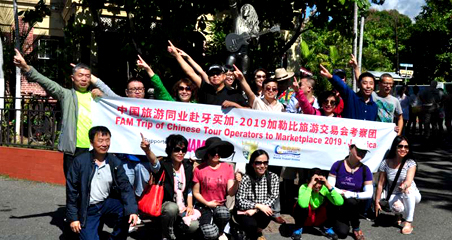 China Business Network and World Travel Online as a long time partner of BITE were invited to participate as a supporter again and promoted many destinations as well as recommended incoming service providers to the outbound travel trade and thousands of Chinese visitors as well. The recommended destinations and incoming service providers are: Burundi Ministry of Tourism, Proexport Colombia, Malta Tourism Authority, The Turks and Caicos Tourist Board, Chile Tourism Board, Ethiopia Alemet, Ski Dubai & Playnation, Voortrekker Monument, Jane Austen Centre, ETHIO-DER Tour & Travel, Metropolitan Touring, Panama Perfect, More Travel, Glory Tours & Safaris Ltd, Atoll Discovery, Exclusive South America, EBC Tours, The Villa Book, Aberdare Safari Hotels, Targi Kelce and World Travel Market. CBN Travel & MICE gave the practical support to foreign incoming providers as professional outbound travel operator. With London Olympics on the corner, CBN Travel & MICE also support the Olympics 2012 by being able to provide guaranteed group tickets for Chinese visitors with good quality accommodations at very competitive price. 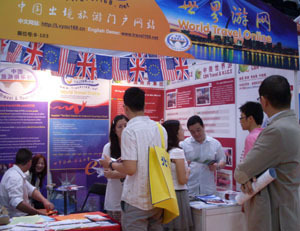 Not surprise CBN's stands were busy with trade visitors and travel professionals. 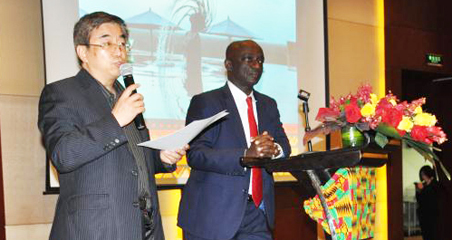 According to the report, Chinese outbound visitors will reach to 80 million by next year. Moreover, Chinese tourists will spend on more money on accommodation, short journey, sightseeing on destinations.